I love this traditional Churn Dash block. I also love using modern fabrics to give traditional blocks a new spin. The fabrics used are all from different lines, but I loved the way they played together. 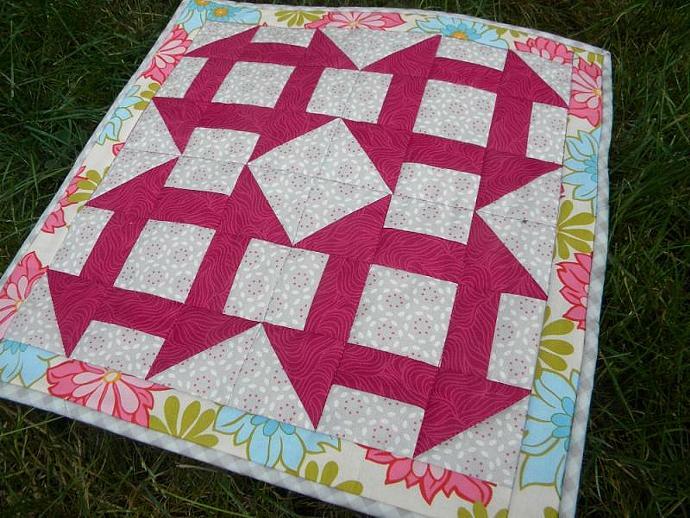 I did very minimal quilting on this so it didn't take away from the beauty of the blocks themselves. 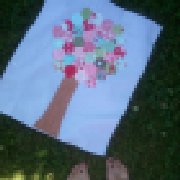 This mini quilt can be used on a table, as a wall hanging, or as a doll quilt. I have many different colors or fabrics, so if this color scheme doesn't suit your particular style or taste, I am more than happy to put together a custom listing for you with the colors/fabrics of your choice. The size of this mini quilt is 14 inches x 14 inches. There is no hanging sleeve on the back. Let me know if you'd like one attached at no extra charge.